Whether you need outdoor signs to direct customers to your business, an attractive menu board for your restaurant, or a sales advertisement at your retail store’s point of sale system, our sintra PVC signs are an excellent choice. Versatile, durable, and surprisingly affordable, these signs are a fantastic buy for today’s savvy businesses. At 777 Sign, we’re committed to customer satisfaction every step of the way. We work hard to be the best print fulfillment company in the industry, so place your order with full assurance. Made from moderately expanded closed-cell polyvinyl chloride (PVC) extruded in a homogenous sheet, these rigid signs are perfect for indoor and outdoor use. These PVC foam board signs are tough enough to withstand regular use, and they’re lightweight for convenient hanging and transport. We print these eye-catching sintra PVC signs digitally, and they feature a gorgeous photo-quality 720 x 720 resolution. We only use the highest quality printing materials, so you can count on our signs to maintain a vivid picture over time. 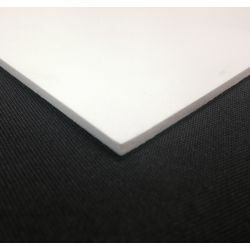 Choose white or black PVC foam board, both 1/8” thick. 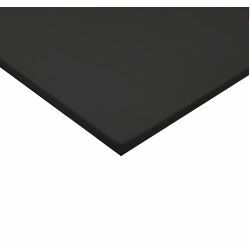 Ordering custom sintra PVC signs has never been so easy. Just upload your image to our website, and we’ll take care of the rest. If you place your order before noon PST, we’ll ship it out the same day. Otherwise, we’ll ship your sign the next day. If you have any questions, we’re standing by to help. Call (702) 754-6360, or email us at info@777sign.com now.